Running a charity or fundraiser? Our standard half inch wristbands are the perfect product to fit your projects needs. 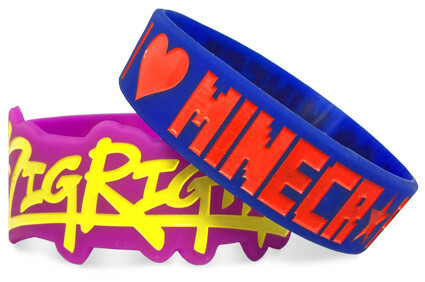 Silicone wristbands are inexpensive and can be sold at a high profit. 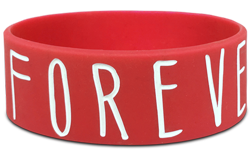 Your wristbands will be worn by your donors for months, giving the item added value as a tool to raise awareness for your important mission. 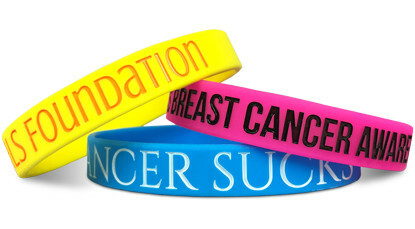 These rubber wristbands are the smartest choice for any charity or fundraiser. Start Making Your Charity Wristbands!